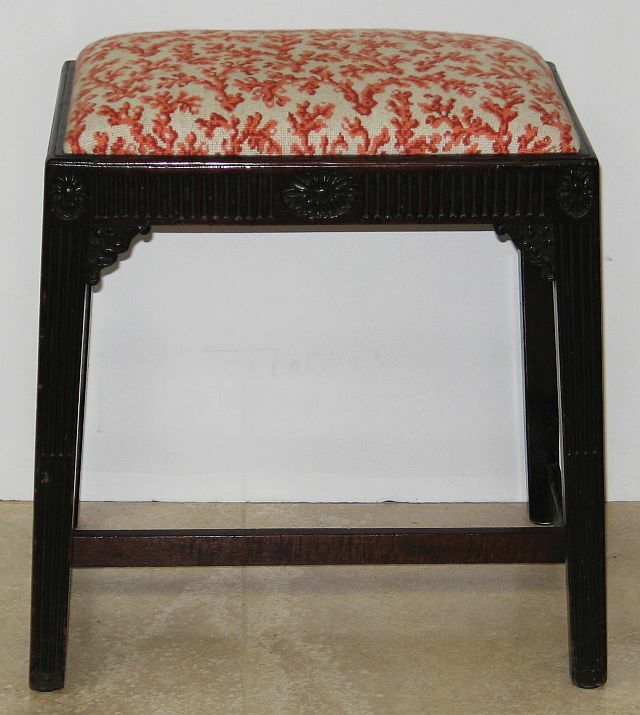 English mahogany stool of Adamesque style. Tapered legs with stop fluted carving. Carved paterae at corners and centers of apron front and back. Upholstered with coral patterned fabric. Dimensions: Seat: 12" wide, 17" long.